Basil is the most recent addition to the complex and intriguing line of Rochefort cheeses. In 1999, the Trappist monks of Belgium’s celebrated Saint Remy Abbey (also known as Rochefort Abbey for its location in the town of Rochefort) gave the notable Belgian cheese and butter producer, Mathot-SOFRA, their recipe to make Rochefort cheeses. Founded in 1948 by Arthur Mathot, Mathot-SOFRA’s state-of-the-art facilities are now run by the 2nd generation of the Mathot family. Rochefort is a young, semi-soft, pasteurized cow’s milk cheese with a fresh cream and slightly tangy flavor. This organic cheese has a smooth paste which provides a perfect base for the herbaceous and aromatic appeal of organically grown basil. Rich in calcium, iron and vitamins A and C, basil was considered a sacred plant to the ancients and is still promoted for its health benefits, as well as its delicious and distinctive taste. Application: Enticing in appearance and aroma, Rochefort Basil is a cheese board show stopper. It is also wonderful in tomato salad, sliced or grilled on sandwiches, baked into quiches and phyllo dough and as a topper for pizza, pasta, potato and rice dishes. Pairing: The famous Trappist Rochefort beer is a must but if looking for a wine, a red Cotes du Rhone will complement the herbal qualities. Made from wheat semolina that is formed into little pearls, Israeli Couscous differs from the traditional, smaller-sized couscous as it performs more like pasta than a grain. Slightly chewy with a touch of nutty flavor from being toasted rather than dried, this style of couscous can be served as a side dish, used as the base to lay grilled meats, fish or vegetables over or in place of rice for stir-fry meals. 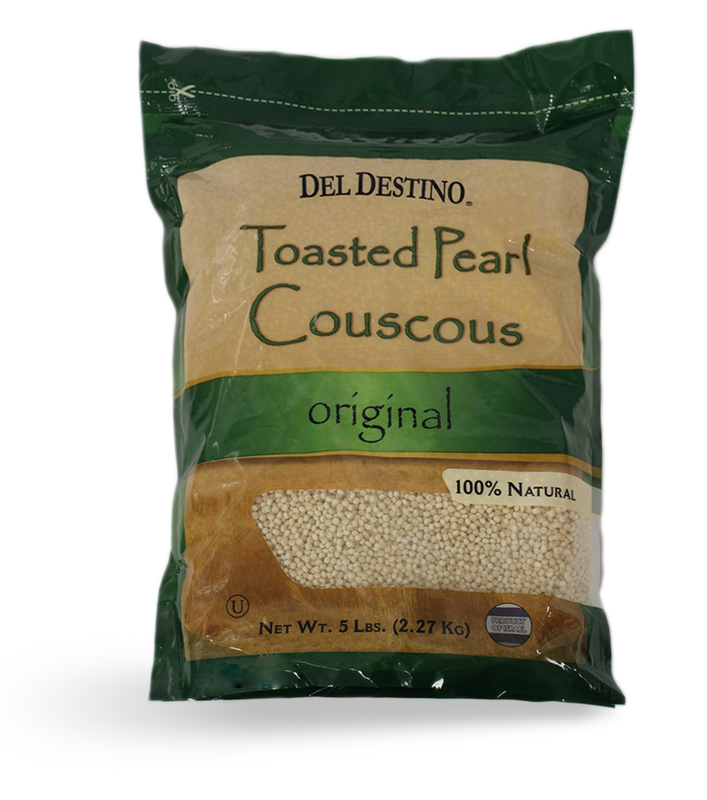 Add Israeli Couscous to soups and salads to provide tasty structure and texture.